much that you'd find it hard to believe that he's not been on ballot, in the past 8 years! 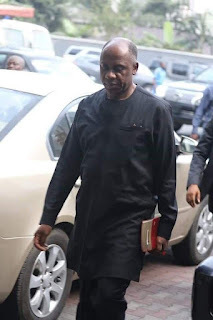 The immediate past Governor of Imo State, for example, couldn't win his second term in 2011, couldn't win primaries in 2014, and and 2018 and couldn't win a ward, convincingly in 2019 elections. But Amaechi, inspite of all obstacles before him, braved the odds to keep a sitting Governor on his toes, with a hitherto unknown political platform and a band of traitors as bedmates. Amaechi has won my respect again. Wike has shed a lot of weight in the last few weeks, an evidence that he's been restless of late. INEC may have returned Wike to Brick House house, but there's no denying the fact that Amaechi has fought a good fight"